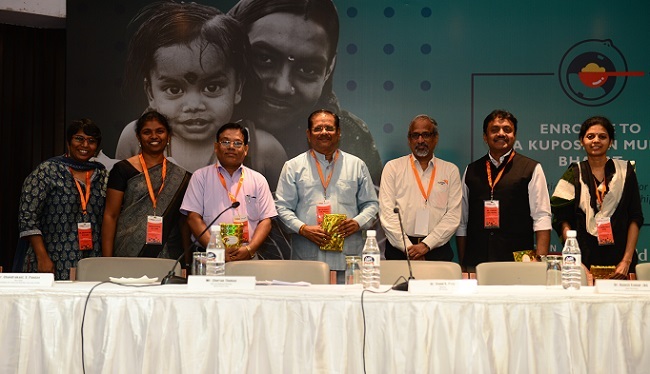 New Delhi: World Vision India (WVI), a grass root humanitarian organization hosted a national level consultation on the theme ‘Enroute to Kuposhan Mukt Bharat’ on 21st August in New Delhi. The panelists at the day long consultation discussed on the need for partnerships and focused multi-sectoral approach to scale up maternal and child health services in the country. “If you want to have healthy mothers, healthy children you have to attack the different types of hungers. I strongly believe we need to now move from food security to nutrition security, where not only calories and proteins but also micronutrients are there. 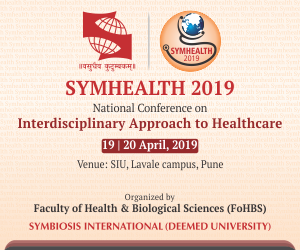 All that needs to be done is to bring agriculture, health and nutrition together into a triangular relationship, which can only be achieved through partnerships,” added Dr Swaminathan. The consultation included sessions on Overview of National Nutrition Strategy, Partnerships and Collaborations the way towards a Nourished India, Return on investment –What counts?, Last mile solutions – What Civil society organisations can do better? And Enhancing service delivery for Kuposhan Mukt Bharat. Panelists for the consultation included Dr Chandrakant S Pandav, Coalition Vice Chair, The Coalition for Food and Nutrition Security, Ms. Rasmi Avula, Research Fellow, International Food Policy Research Institute (IFPRI), Dr. Sujeet Ranjan, Executive Director, The Coalition for Food and Nutrition Security and Dr Satish Agnihotri, IIT Mumbai.